Heatbud | Singing Bowls - How to make your own gingerbread-man? How to make your own gingerbread-man? So this man is basically and mainly made of ginger, as you might have guessed from the title. But what is added to make this ginger bread so that it comes to life is the use of cloves, nutmeg or cinnamon and it is sweetened with honey or sugar? Gingerbread is a broad category of baked products but today we are going to focus on making just a gingerbread man. But before heading onwards, let’s get to know its unique history, shall we? 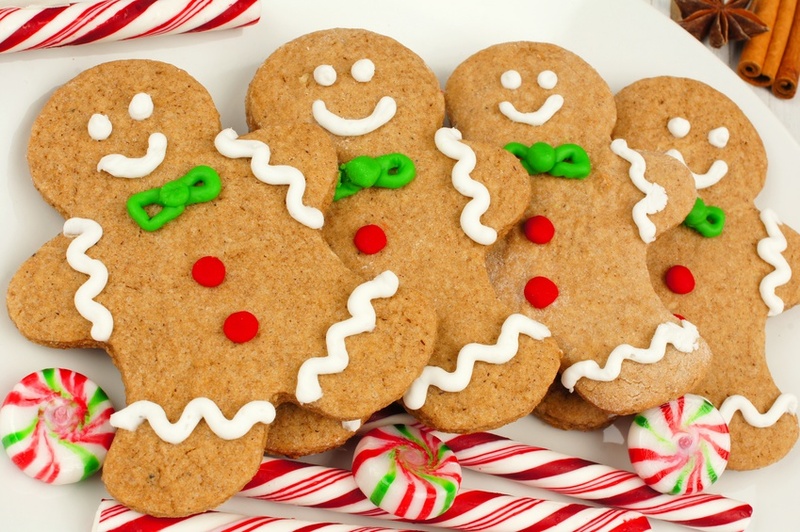 Gingerbread is claimed to have been introduced to Europe by the Armenian monk named Gregory of Nicopolis. He left Nicopolis and later taught the recipe to the French Christians. It became famous in Sweden in the 13th century and it was also used to ease indigestion by nuns. 1) Take a bowl and pour flour, baking powder, baking soda, salt, ginger, cinnamon and cloves until well blended. 2) Take a large bowl and put butter, brown sugar and egg in it. Beat them together on a medium speed. 3) Add molasses or gudd (Hindi), vanilla extract and lemon zest. Blend it well together. 4) Slowly add dry ingredients until smooth. 5) Divide the dough in 2 halves and let it be at the room temperature for 2- 8 hours. 6) Preheat the oven at 190 . Prepare the baking sheets by filling with parchment paper. This dough can be kept for 4 days but it should be refrigerated and it should be brought to room temperature when it is supposed to be used. 7) Grease the cookie sheets. 8) Put one portion of the dough on the lightly floured surface. 9) Sprinkle the dough and rolling pin with flour. 10) Roll the dough ¼ inch thick and use the extra flour to avoid sticking. 11) Cut out the cookies with the gingerbread man mold – our favorite and most loved. 12) Space these cookies in the baking sheets about 2 inches apart. 13) Bake a single sheet for 10 minutes. The slower, the better. The slower, the softer cookies. 14) Remove the cookie sheet from the oven and allow it to become firm before turning it onto the wire rack. 15) After cookies are cool you may decorate as you like with the Royal icing. Have this delicious bread which has medicinal abilities that keep your tummy happy and filled and your health on check. It is easy to make and a lot more easy to eat (giggles). Jokes apart, you should definitely try this bread. It is made with the items that we usually have in our kitchen, so it’s not as if we have to run around buying exotic groceries. Traditional and local ginger and guide is available in every Indian’s home. So make the best use of it with online cake shop in Dehradun. Seriously this ginger man with royal and grand icing is love at first site. I can’t stop obsessing over it. And neither would you if you try it for first time, you will be compelled to have it often. So what are you waiting for, go ahead and try it.